MMM…. fall is here, and I can smell it in my kitchen! 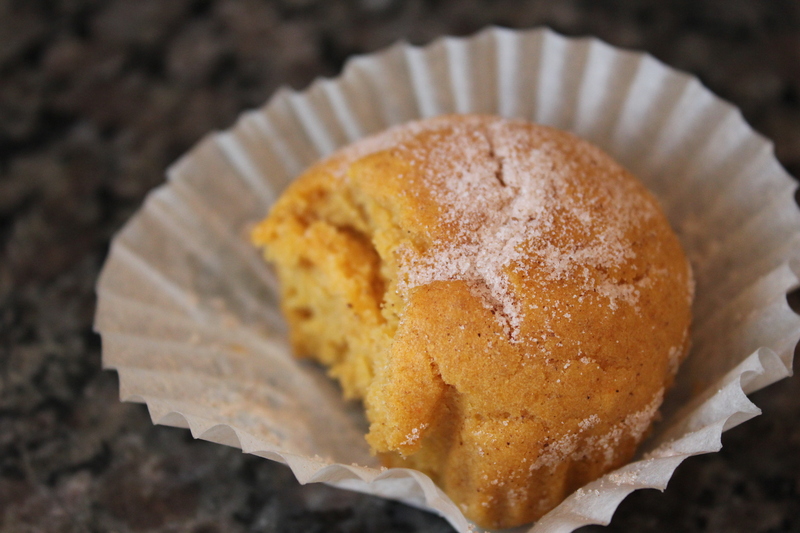 I have really been craving some pumpkin doughnuts, and I found a great-sounding recipe for them on Pinterest. I was all set to make said doughnuts… and then I realized that required a doughnut pan, which I did not have. So I opted for muffins, which seem healthier anyway, regardless of the fact that they involve the exact same ingredients. It’s all about perception, people. 1. Preheat the oven to 350 degrees. 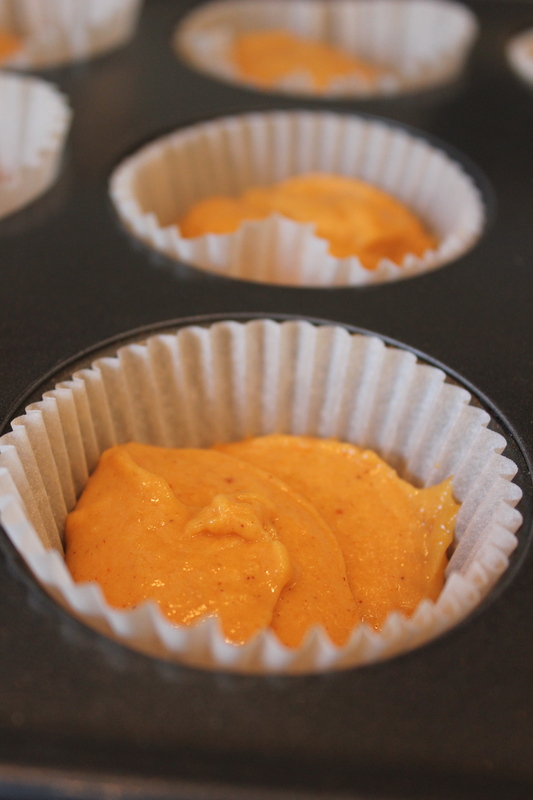 Place cupcake liners in 2 standard muffin pans. 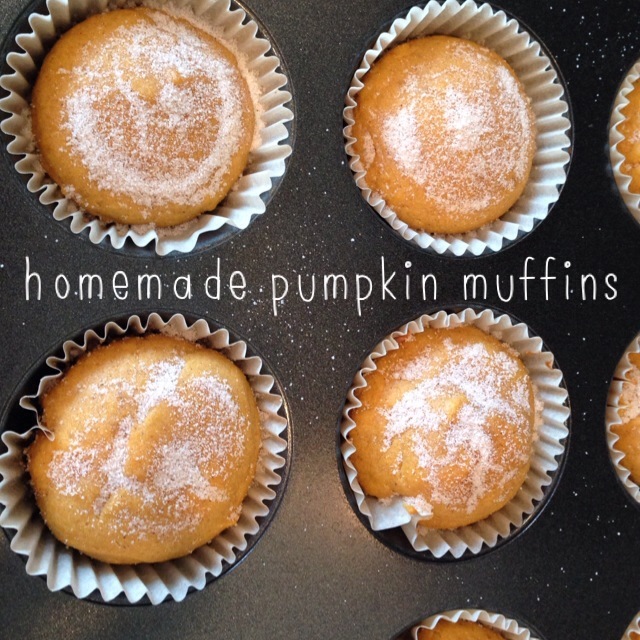 My batch made approx 19 muffins. 2. 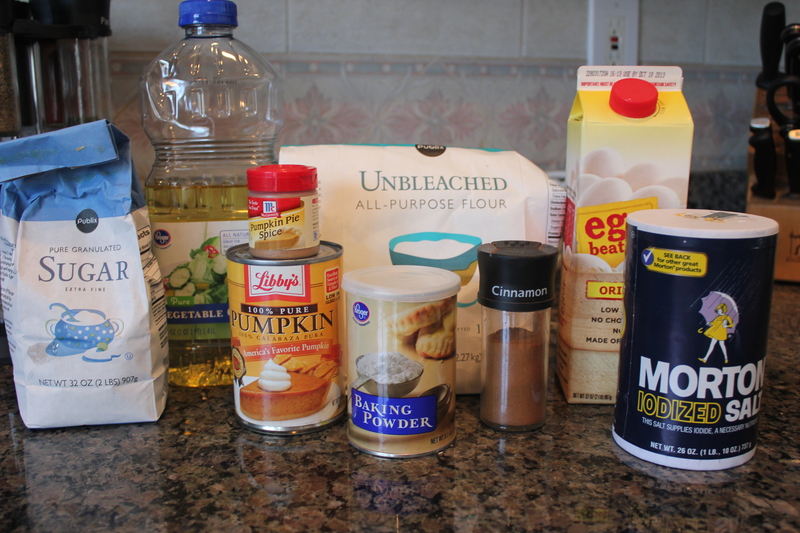 With a mixer, beat together oil, eggs, sugar, pumpkin puree, spices, salt, and baking powder until smooth. 3. Add the flour, stirring until just smooth. 4. Fill the cupcake wells about 3/4 full. 5. 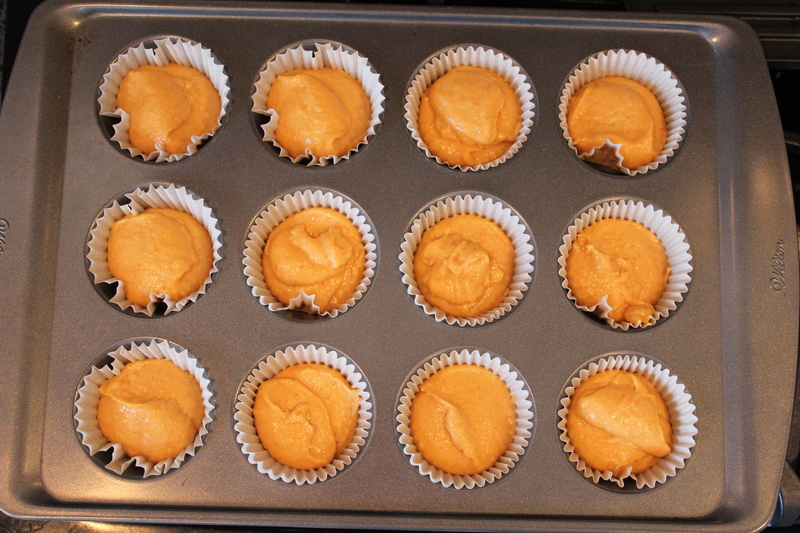 Bake for approx 23 minutes, or until a toothpick or cake tester is inserted into the center of one comes out clean. 6. 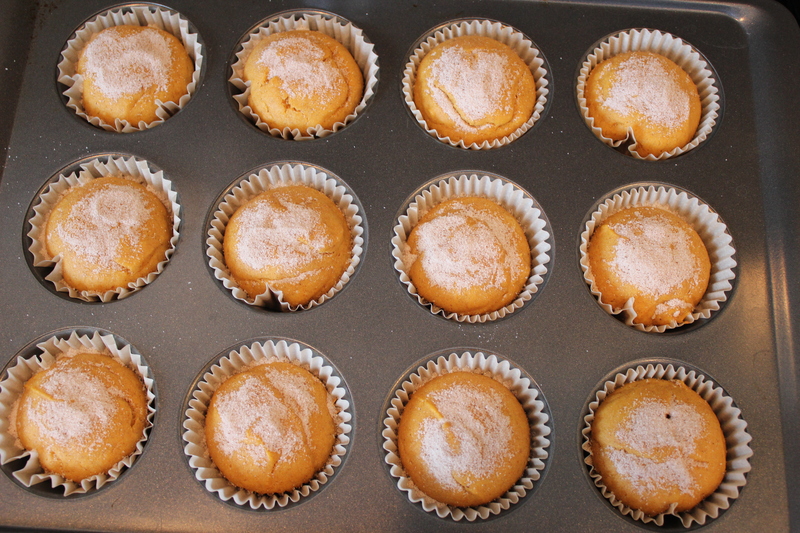 Remove the muffins from the oven and transfer them to a rack to cool. 7. 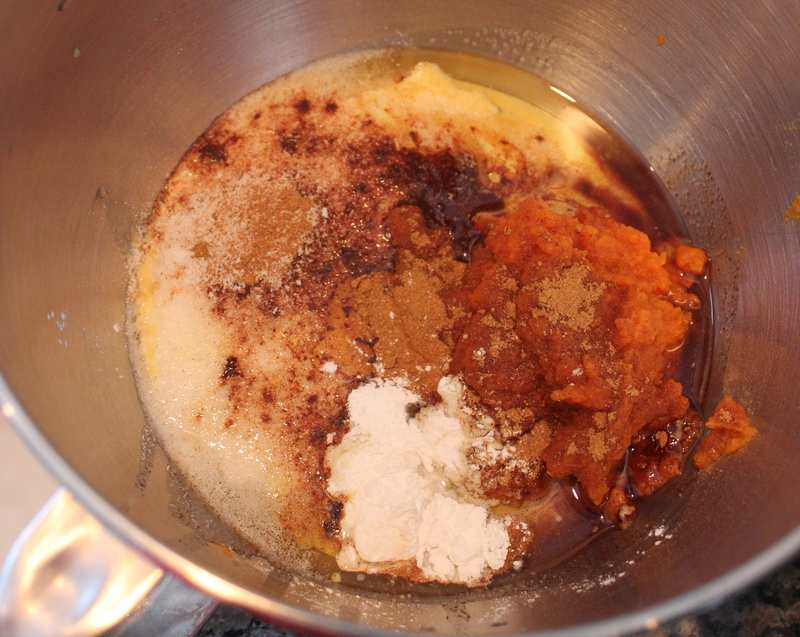 Sprinkle heavily with cinnamon sugar. Cool completely, cover, and store at room temperature.